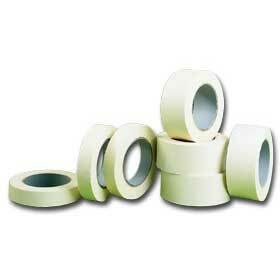 A low-cost, high quality tape for all-purpose use. A valuable office aid perfect for light duty use around the warehouse or shipping area. Strong natural crepe paper is saturated with a rubber base for added adhesive power. Can be easily written on. FOB Shipping Point.